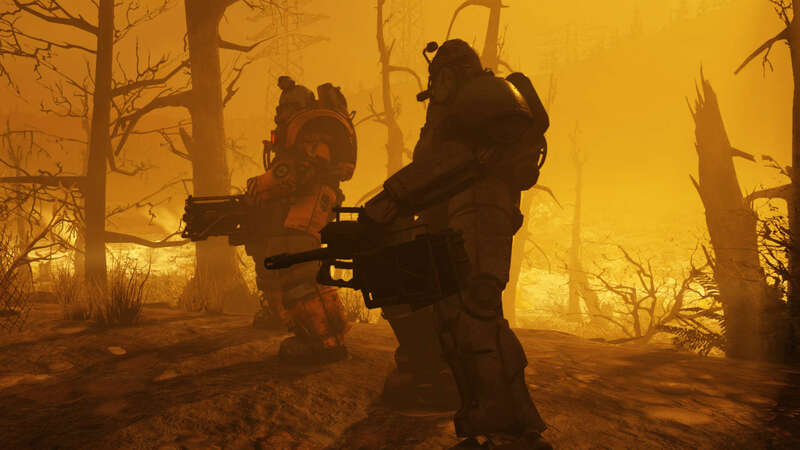 Fallout 76 Mutations are a new system that adds benefits and consequences to being irradiated. 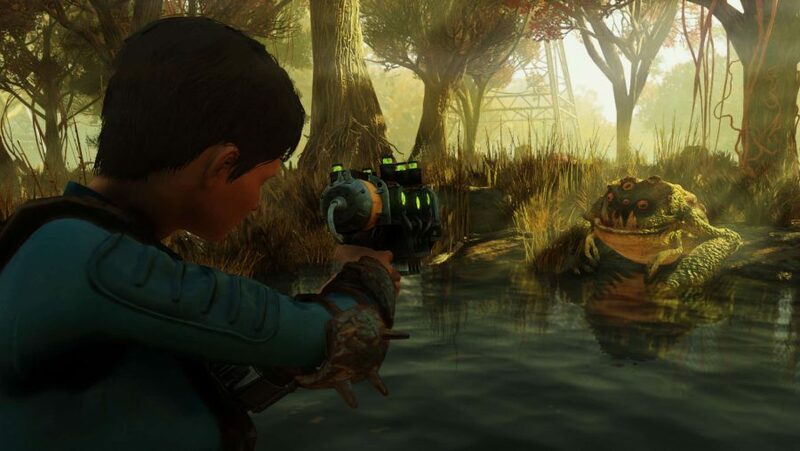 In the nuclear wasteland of Fallout 76 most of the environment is riddled with pockets of dangerous radiation and if the player is exposed to excessive radiation they can become mutated. Just like the traits system in Fallout New Vegas, Fallout 76 Mutations have both positive and negative effects. You can get a mutation from exposure to irradiated creatures, food, drink, radioactive waste, and radiation zones. If you get a Mutation you’ll need to get your hands on an item called RadAway, a medical pouch that will cure your mutation and all its side effects. Having your character wear any gear with high defense against radiation, like a hazmat suit or a gas mask, will also improve your chances of avoiding Mutations. These mutations can lower your intelligence or zap you of your strength, but they can also have benefits like adding damage to your attacks, speeding up your movement, or granting stat buffs to the rest of your team. If you are enjoying the effects of a certain Mutation you can use a Fallout 76 perk card called Starched Genes, which freezes the mutation even if you rid yourself of any radiation. Fallout 76 perk cards are new to the series as well, and can help with levelling up and building your character. If you and your team find mutations that you like, there is another perk card called Strange in Numbers that increases your positive mutation effects +25% if your teammates are infected too. These mutations can be useful or detrimental depending on how you want to play Fallout 76, so have a read below and see if any of these mutations take your fancy or if they are worth avoiding. We’ve got stacks more Fallout 76 guides, too, so whether you’re looking for ways to farm XP in Fallout 76, the location of every Public Workshop, or are struggling to get to grips with the new C.A.M.P. system, we’ve got you covered. With this mutation you’ll become invisible when you are not wearing any kind of armour and standing still, so you’ll be vulnerable, but almost impossible to spot. This could be handy for PvP, but we’re still unsure if it will help you give and Fallout 76 monsters the slip. Bird Bones grants you +4 Agility and if you fall from somewhere high your falling speed is slowed down, which presumably means you’ll take either no or very limited fall damage However, for these positive effects your character will get -4 strength – not bad if you’re running a nimble, run-and-gun Fallout 76 build. This mutation makes your perception go up +4, which will help spotting enemy creatures and other players. You’ll also get a handsome boost to critical hit damage, which is handy if you like to store up crits for tough enemies. Expect to pay for this with a deficit of -4 Strength. Your intelligence goes up +6 but you lose -3 from your strength and -3 from your endurance. If you have a high intelligence in Fallout 76 you’ll be able to hack terminals as well as improve on the condition and durability when you craft items, provided you’ve got the right Fallout 76 perk cards equipped. When you have the Electrically Charged Mutation, there is a chance to inflict electrical damage on your melee target. However, there is a small amount of damage returned to the player whenever this happens. When you are in a group any damage inflicted on yourself or your teammates is reduced by 25%, but +33% damage is taken by the player – how noble of you. Being that Fallout 76 is entirely online, you’ll find yourself teaming up with different groups making this Mutation rather useful. With this mutation you gain 100 energy resistance but you inflict -50% less energy damage on your enemies. Energy damage is dealt by laser, fire, electricity, and a variety of other sources but the two main weapons to avoid using out for if you have this Mutation are the laser rifle and the plasma gun. You health regeneration is +300%, but Chems have -55% less of an effect on you, the largest depletion from any of the Mutations. Chems can be stacked in Fallout 76 and can have four to five simultaneous effects with massive benefits so even though that health regen is immense it’s a big ask to give up over 50% of your chem effects. Eat your greens! When you eat vegetables it gives you double benefits. With the consumables in Fallout 76 there is a small chance that eating them will give you a disease but with this mutation you can eat veggies in peace with no chance of getting a disease. There’s a catch though, if you have this Mutation you won’t be able to restore your Hunger by eating meat. The reverse of Herbivore, when you eat meat it gives you double the benefits but you can’t satisfy your Hunger by eating vegetables. Food is scarce, and unfortunately you can eat the cats in Fallout 76, but with this Mutation you won’t have to worry about getting a disease – lovely. With the Marsupial Mutation your carry weight is +20 and you jump height increases. Unfortunately your intelligence goes down by -4. This means you can jump almost up to three times your height, so you can hop on top of buildings and obstacles well out of the reach of any monsters. Scaly Skin gives you +50 damage resistance and energy resistance. But you lose -50 Action Points. Action points govern the number of things you can do during a combat turn, so this Mutation gives you the defence of a tank, but it also gives you the sluggish nature of a tank. 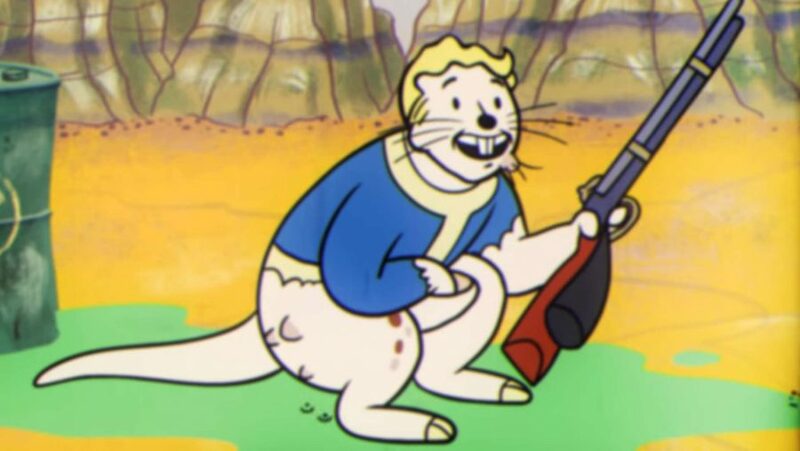 With this Fallout 76 Mutation your character gets +20 movement speed and you get to reload your weapon faster. This Mutation is a great bonus to have and could be used with the Starched Genes perk, but be warned: you’ll be lumbered with the negative effect of a +50% drain on Hunger and Thirst with this Mutation. Your punching attacks do 25% more damage and just like the sharp talons of a bird of prey you will inflict extra bleed damage. Unfortunately you lose -4 agility. Bleed damage inflicts the target over time and is useful for melee attacks. You gain +25% melee damage and your chance to cripple an enemy’s limbs increases. However, your gun accuracy goes down by -50%, which is pretty awful unless your only plan of attack is melee – get your leg crippled as you charge a foe and you’re done for. All in all, this sounds like one of the Fallout 76 Mutations to avoid at all costs. If you are with a group all of your SPECIAL stats go up +2, if you are on your own then they all go down by the same amount. This Mutation is perfect if you are planning on playing in multiplayer, coupled with the Strange in Numbers perk, your group will be well protected. You become a walking radiation hazard with a chance of irradiating melee attackers – you’ll lost 4 Agility as a result. This one is a bit of a mystery as nobody has managed to grab a screenshot confirming the Mutation’s name or bonuses. However, a reddit user -Kemphler- wrote that they had a Mutation of a similar name called Plague Aura, which gave the players a more powerful poison aura the as they accrued more diseases. That’s it: all the known Fallout 76 Mutations and how they change your character’s stats. For more help in this strange new world, check out our guide on tracking down Fallout 76 nuke codes, our Fallout 76 leveling guide, or our list of locations for finding Fallout 76 rare weapons. We’re very excited to play around with these and see if we can use them to make extraordinary setups.